Today I have a really pretty rose-inspired digital paper pack, perfect for your spring designs. It contains five 10x10 papers that you can use anywhere you want. They would be lovely on websites, storyboards, business cards, greeting cards, etc. 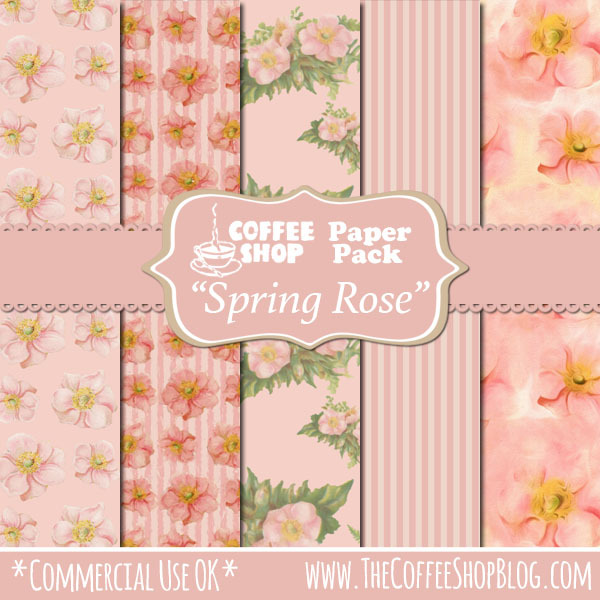 Download the CoffeeShop "Spring Rose" digital paper pack. You can also download it here. Very pretty. I especially love the one on the far end. Thanks so much Rita.